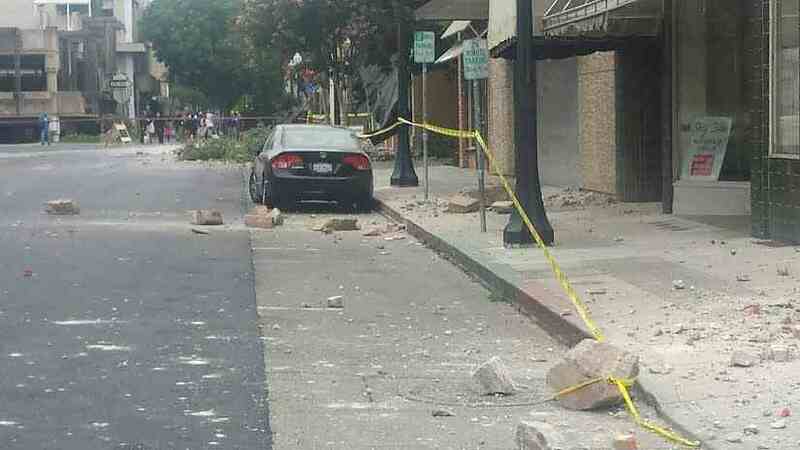 Inspections of Napa buildings damaged in Sunday’s 6.0-magnitude earthquake are about 75 percent complete this evening and a total of 70 buildings have now been declared uninhabitable, city officials said. City officials have been conducting inspections throughout the day, and red-tagged an additional 21 buildings since this morning, Napa community development director Rick Tooker said at a news conference. More than 200 buildings have been yellow-tagged, meaning that residents and owners can return to clean and collect possessions but are unable to stay there for the time being, Tooker said. Some red-tagged buildings may be re-inspected and may not be completely uninhabitable, while some yellow-tagged buildings may need simple repairs and cleaning to be inhabitable again, Tooker said. As inspections continue, more buildings will likely be added to both lists. An American Red Cross shelter was established Sunday at the Crosswalk Community Church at 2590 First St. and 15 people spent the night there that night, city officials said. Officials are expecting a similar number tonight. City Manager Mike Parness said that “significant progress” was made today, including repairs to 30 water lines that had been reported leaking of a total of 90. Water service will be shut off for residents periodically as water lines are repaired, and Parness recommended that residents boil or run the water before using it after a shutoff. All power has been restored to PG&E customers in Napa except in red-tagged buildings, Parness said. About 70,000 lost power immediately after the quake and 17,000 were still without power Sunday afternoon. Street closures are continuing in the areas surrounding buildings at risk of collapse, but officials are working on building barricades surrounding those buildings so that portions of the streets can reopen. 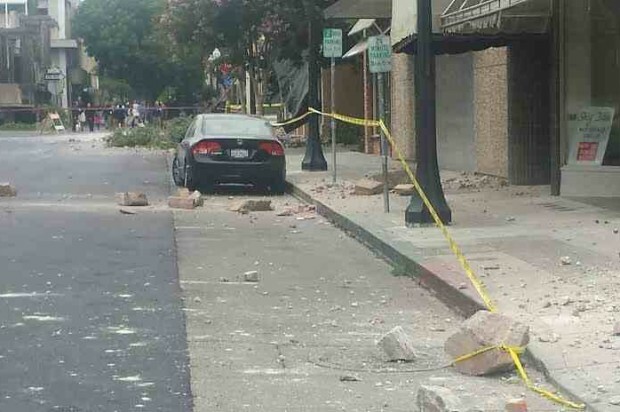 There have been no additional injuries reported beyond the previous total of 208 and officials are not anticipating any more earthquake-related injuries. Schools in the Napa Valley Unified School District will remain closed on Tuesday.